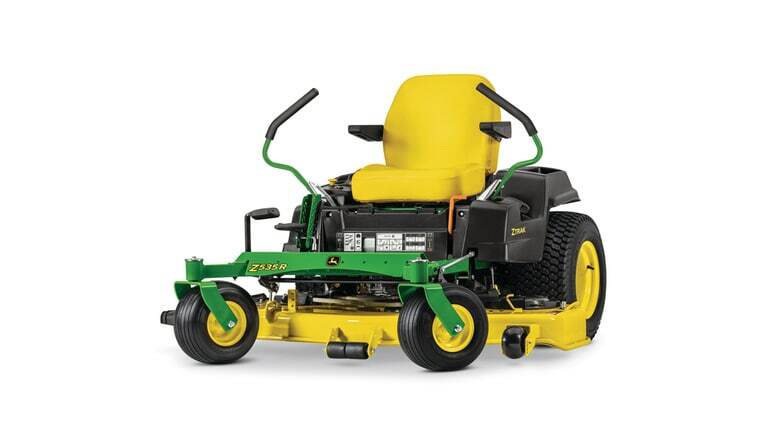 Z500 residential zero-turn mowers offer larger frames, bigger fuel tanks, and more comfort options than the Z300s. With these additional features, you will enjoy faster ground speeds and an increased comfort level. 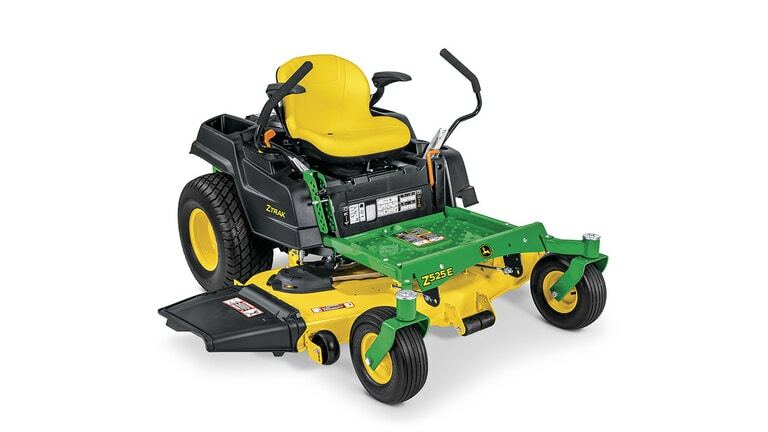 Below are the equipment features and deck size recommendations for these Z500 residential zero-turn mowers. If you’re interested in learning more or have questions, feel free to reach out to our friendly and knowledgeable staff by clicking the Request-A-Quote button. From there, we will be able to communicate with you directly and get you any additional information! With ground speeds between 8.5 and 9 mph, these mowers deliver superior power to help you mow efficiently at faster speeds. 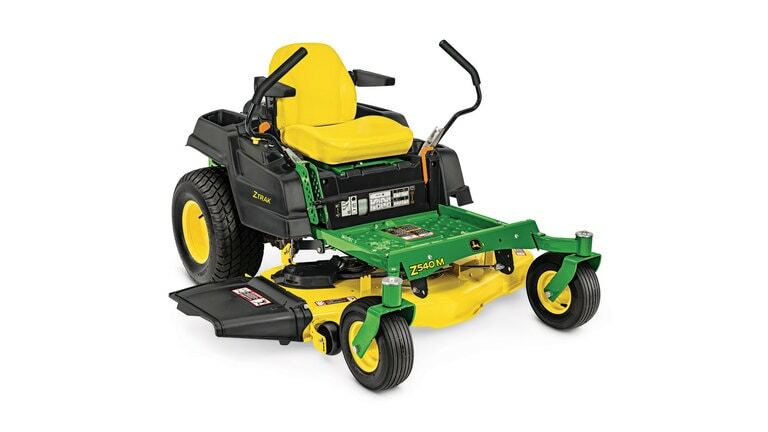 This added power increases cut-quality in challenging situations like mowing wet or tall grass. These commercially inspired Deep Decks offer ultimate airflow and a wide discharge opening to give you superior cut quality without clumping or windrowing. 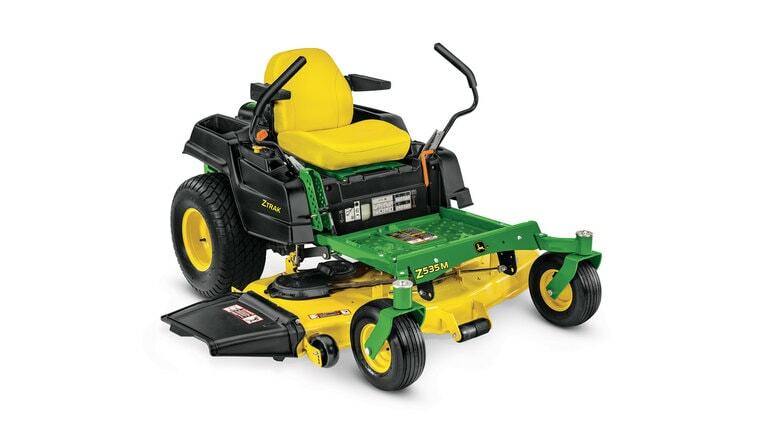 To maintain a precise cut, these lawn tractors come standard with an onboard leveling gauge and tool for quick and easy adjustments. 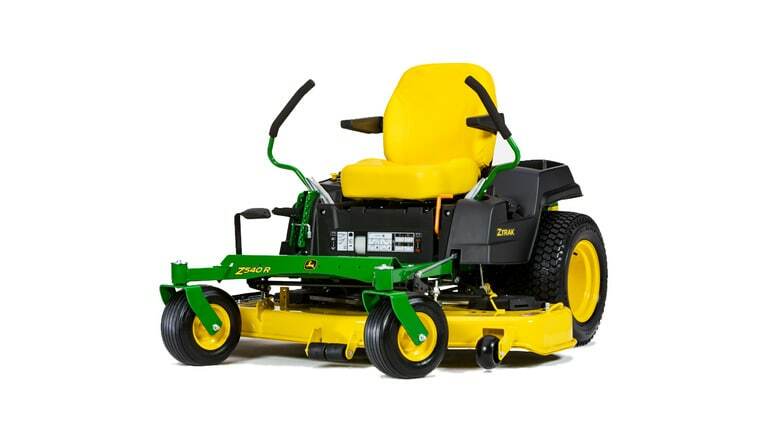 Both of these features allow you to mow your lawn at faster speeds without sacrificing the quality of your cut. Available deck sizes: 48”, 54”, 62”, and HD 60." This technology allows you to keep your lawn healthy and lush. With the flip of a lever, you can make sure your grass clippings are cut small enough to be easily absorbed into your lawn. Mulching returns vital nutrients to your lawn and significantly reduces the need for fertilizer. If your grass gets too tall to mulch, simply flip the lever and you can discharge the majority of the clippings out the side of the mower deck. This alleviates the need for removing hardware from the deck to side-discharge clippings. Quick turns and high speeds call for the ultimate in comfort and convenience. These zero-turns offer a supportive seat with adjustable armrests, seat suspension springs, and wide rear tires for a smooth ride that won’t leave you exhausted.